The secret to this salmon salad is in the lemon tea dressing made with black tea. What makes this salad “super” is its powerful mix of flavours such as marinated artichokes, sweet potato, goat cheese and sliced almonds. An appetizing salad that is a meal all on its own. Combine all ingredients for dressing and mix well. Set aside. Brush potatoes, red pepper and salmon lightly with canola oil. Sprinkle with salt and pepper. 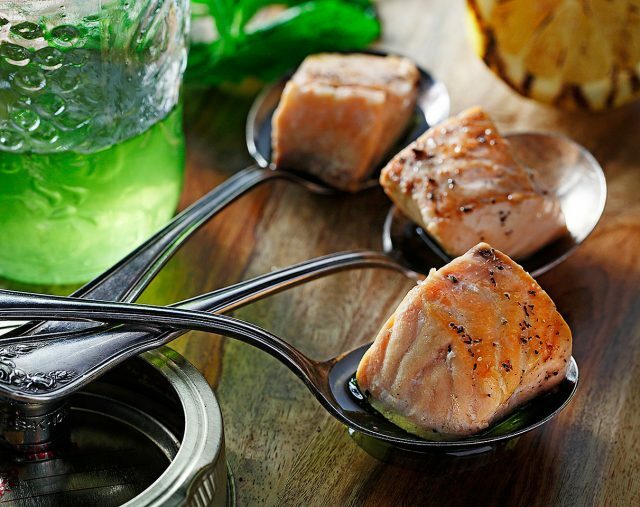 Place vegetables and salmon on grill and cook for approximately 10 minutes on medium-high heat, or until done, turning once during cooking time. Do not overcook. (Timing will be affected by size and thickness of salmon and vegetables). Meanwhile, combine salad greens, artichokes and tomatoes in large bowl. Divide salad ingredients among four large plates. Divide sweet potato wedges, red pepper, goat cheese, almonds and onions over greens. 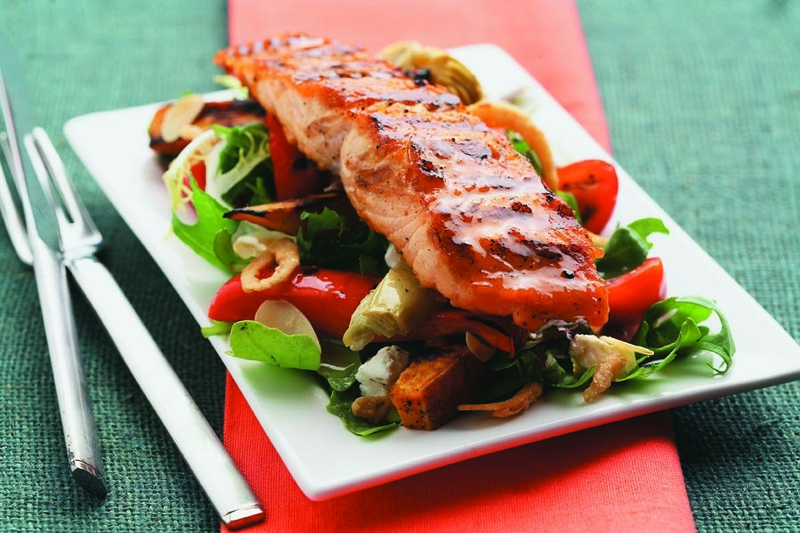 Place one piece of cooked salmon on top of each salad plate. Drizzle with 2 Tbsp (30 mL) of dressing per serving . Serve immediately.